Going on British Virgin Islands vacation? Read these tips. BVI consist of four main islands - Tortola, Anegada, Virgin Gorda, and Jost Van Dyke, that are also considered to be favourite tourist destinations. There are fifty other much smaller islands and cays but only fifteen are inhabited. British Virgin Islands are located 41 km to the north-east side of the U.S. Virgin Islands, 207 km to the east of San Juan, Puerto Rico and 334 km to the north-west of Antigua & Barbuda. 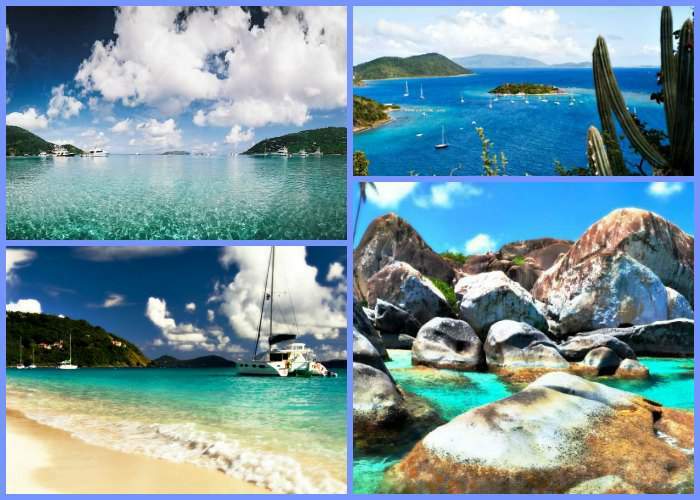 Read on for destinations in British Virgin Islands and for travel tips. Unfortunately there are no direct flights to BVI from U.S.A. or Europe, so tourists need to get a connecting flight either at the Antigua's airport, in St. Thomas, San Juan (Puerto Rico), St. Kitts or St. Maarten. British Virgin Islands are a British colony territory; however, the currency used on the islands is U.S. currency, which is widely accepted throughout the islands. Road Town, the capital city of the biggest BVI islands-Tortola, has a lot of ATM machines throughout. Major credit cards are accepted almost anywhere in Tortola and several banks such as First Bank Virgin Islands, First Caribbean International Bank, Scotiabank, and VP Bank are opened for your convenience. You can also discover ATM machines in Garden Bay, Nanny Cay, Soper's Hole, and the airport. British Virgin Islands vacations are so popular that approximately 45% of the islands' income is coming from tourism. Even though most of the money is generated from charter boat tourists and those guests that vacation at the resorts, a substantial number of cruise ship passengers that visit the islands are as important. They bring in a bit less revenue than all other visitors, but come to the islands' ports quite frequently. 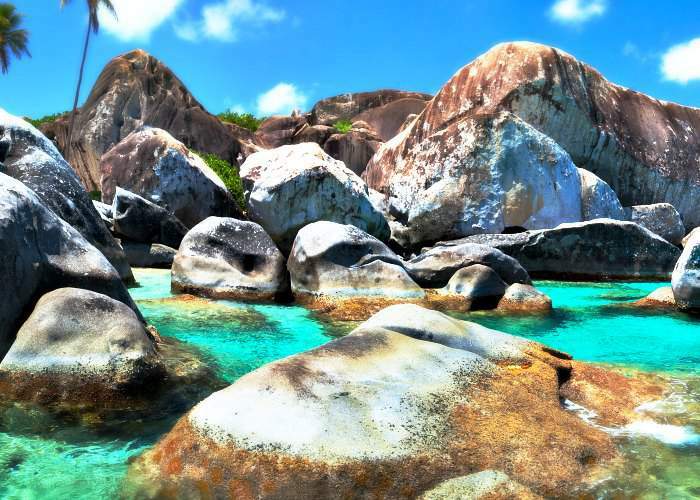 Many visitors are amazed when exploring The Baths in Virgin Gorda, sail through the beautiful waters of the islands, enjoy white sandy beaches throughout BVI, snorkel through magical reefs in Anegada, and savor the heavenly delectable beverages in many popular bars on the shores of Jost Van Dyke. High season does not start until Christmas time and ends sooner than on other Caribbean islands. Usually by April 1 things get a bit slower and rates become a lot more affordable. British Virgin Islands live on a tropical climate and temperatures vary 32 °C (89.6 °F) in the summer and 29 °C (84.2 °F) in the winter, so almost the entire year the weather is nice and welcoming. Two of the most highlighted events in British Virgin Islands are Spring Regatta & Sailing Festival and BVI Emancipation Festival. 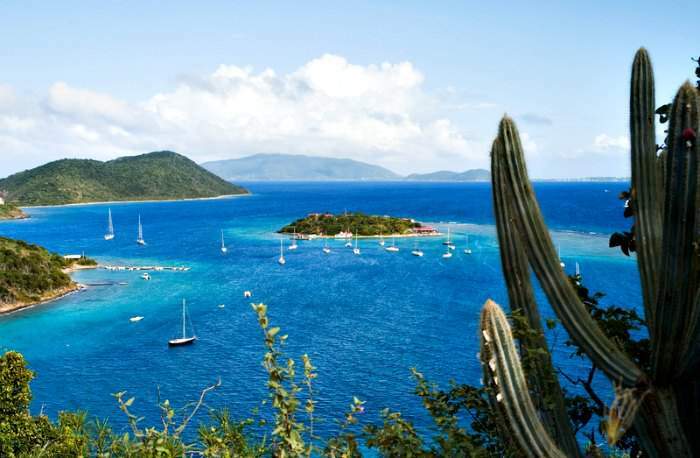 The Spring Regatta is a sailing competition that is situated in Nanny Cay, Tortola and hosts a fair for many sailing fanatics who compete in the 3 or 7 day races, depending on the preference. This festival occurs every year from March to April, so those that are participating in the race or attending should check the dates prior to going on British Virgin Islands vacation, as the schedules vary and might be different from the previous year. BVI Emancipation Festival is a grand event for those that live on the islands. It celebrates the end of slavery that was spelled out in the 1834 Emancipation Act. This festival is held from July through August and offers its' guests fun for everyone such as food & drinks, a number of contests, music, dancing and much more. 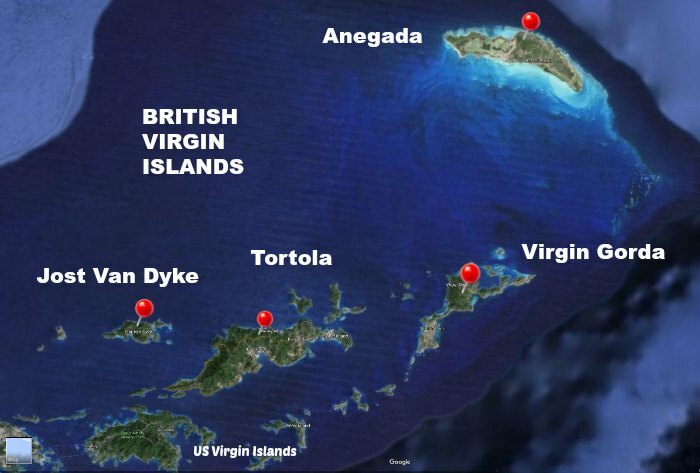 Here is a map of BVI showing the biggest islands: Tortola, Virgin Gorda, Anegada, and Jost Van Dyke. Tortola, one of BVI's mostly inhabited and the biggest islands, has a population of 24,045 as of the year 2016. 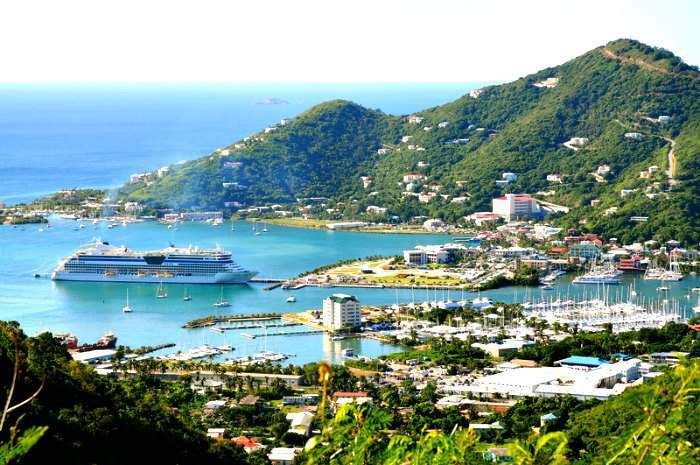 Tortola's capital city is called Road Town, where most residents from Tortola island reside. This beautiful and busy island is a center of it all and is located 55.7 km south-east of Jost Van Dyke island, 55.8 km south-west of Anegada and 89.6 km south-west of Virgin Gorda. 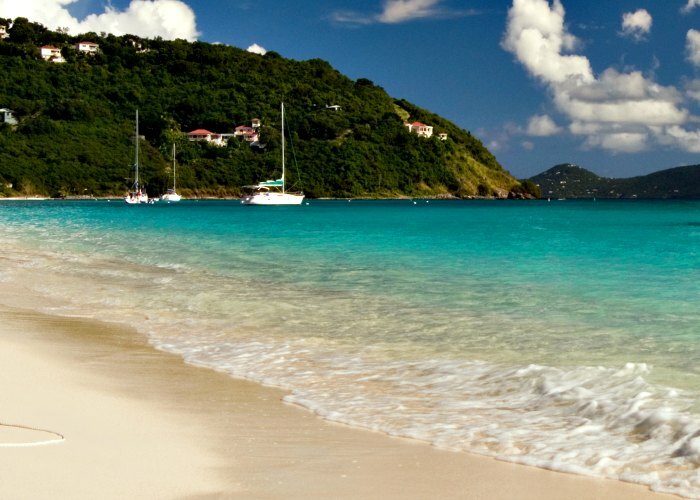 Tortola runs 19 km long and 5 km wide and Its' area comprises of 55.7 square km. Tortola is the most reachable island in British Virgin Islands. There are many ways to come such as regular flights, charter flights, ferries or water taxies that are available for their convenience. Direct flights from San Juan and St. Thomas are available for those that are travelling to Tortola and are provided by two airline companies namely Air Sunshine and Cape Air. These companies provide their service and will get you to the biggest island in the BVI in less than 30 minutes. Tourists arrive at Tortola's Beef Island airport where they are welcome to take their trip further if they are travelling to other islands like Virgin Gorda, Anegada or Jost Van Dyke, or can situate themselves and enjoy their British Virgin Islands vacation in Tortola. Charter flights are also available, but are more of a high-end trip because their prices are significantly higher. However, a lot of tourists choose helicopter flights or charter airplane flights as a way to get to Tortola or other islands in the BVI in order to experience a unique adventure that will leave them with a lot of memories. Tortola is reachable by way of a ferry that operates quite frequently until 4:30-5:00 p.m. These ferries connect Tortola with other islands like Virgin Gorda, Peter Island and Jost Van Dyke. Tortola has 3 ferry terminals that are located in West End, Beef Island (the airport) and in Road Town, capital city of Tortola. In case you have missed the last ferry to depart, then you would have to wait until the next morning and get on the first one. If you miss the boat, rent a room in a hotel and explore the surroundings. There are ferries available to bring tourists to other islands departing from Tortola. Contact the ferry company for an up-to-date schedule information, as they change their times in short notice and you might not be able to see the changes when booking your trip. To avoid a delay in your travelling time and to get to your resort faster, examine the ferry schedule in advance. Another important thing to note is that the departure tax by boat is $15, and by place it's $20. Remember that these taxes are payable in cash in U.S. currency only. Tortola being the center of all the British Virgin Islands with the biggest territory and a higher population offers its' tourists many water sports activities, attractions, a wider selection of resorts, hotels and accommodations in general, a vast selection of dining options, and a more live entertainment for the whole family. Anegada is the second largest island out of the four British Virgin Islands and lies about 24 km (15 miles) north of Virgin Gorda. The main so-called village in Anegada is called The Settlement, which is considered the downtown of the island. It has schools, a fire and a police station, a medical clinic and a few restaurants. It is more on a quieter side for a British Virgin Islands vacation, but the never-ending white sandy beaches and the peaceful surroundings make up for a perfect get-away. Unlike the other mostly inhabited islands that were formed from volcanic activity that made them hilly, Anegada was formed from coral and limestone; therefore, its' land is fairly flat and low. Anegada is situated 28 feet above sea level with its' population of approximately 185 residents. Virgin Gorda is making its' way to be the third largest island in the British Virgin Islands and is situated approximately 24 km (15 miles) south of Anegada. The capital city of Virgin Gorda is Spanish Town, and the population of the island is approximately 3,930. Spanish Town can hardly even be classified as a town. It consists of a marina, a few shops and a couple of car-rental agencies. The island relies on tourists, and this is where its' income is generated. Commercial fishing is also a prevailing business as the British Virgin Islands are known for their great sailing opportunities. Last but not least, the smallest out of the 4 islands in BVI is Jost Van Dyke with an area of 8 square km (3 square miles). This small island is located north-west of Tortola, and south-west of Virgin Gorda and Anegada islands. Its' population is a little bit less than 250, but tourists are attracted to Jost Van Dyke for British Virgin Islands vacation for its' casual lifestyle, local cuisine of barbeques, rotis and flying fish sandwiches and an incredible large docking port in Great Harbour, the island's hot spot for all the entertainment where hundreds of sailors anchor their sail boats.